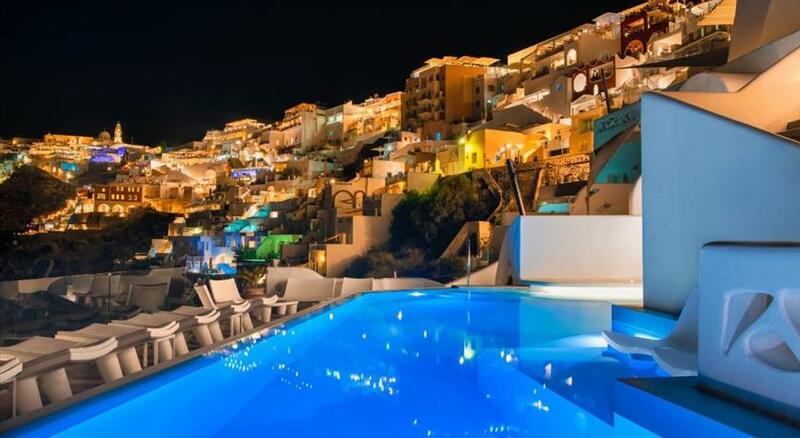 A few steps from Fira the capital of Santorini, in the picturesque neighborhood of Kondohori, is a unique complex of luxurious suites. 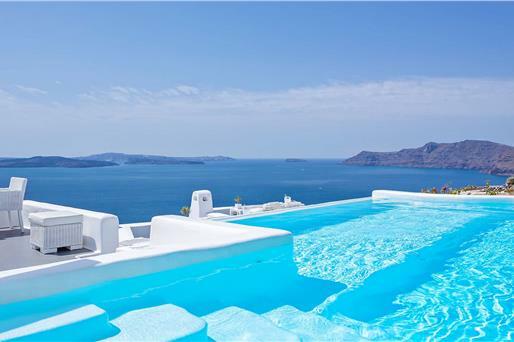 You will not believe your eyes facing the garden with olives, relaxing sun beds, pool and romantic corners. The sea will follow you anywhere in San Marino Suites you stand! 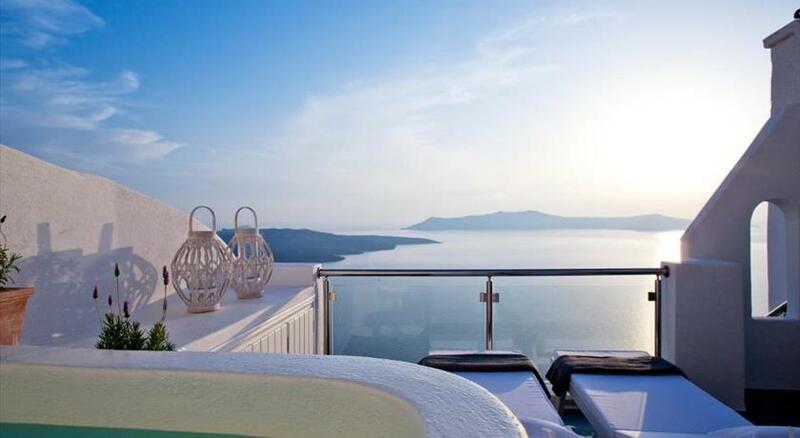 Your senses come alive gazing at the soothing blue of the Aegean, while refined in your suite you will enjoy unique moments of relaxation and serenity. 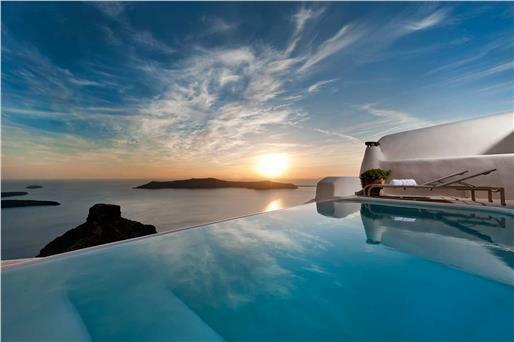 Minimalism and Cycladic architecture where white meets black volcano, the green garden and the blue sea. 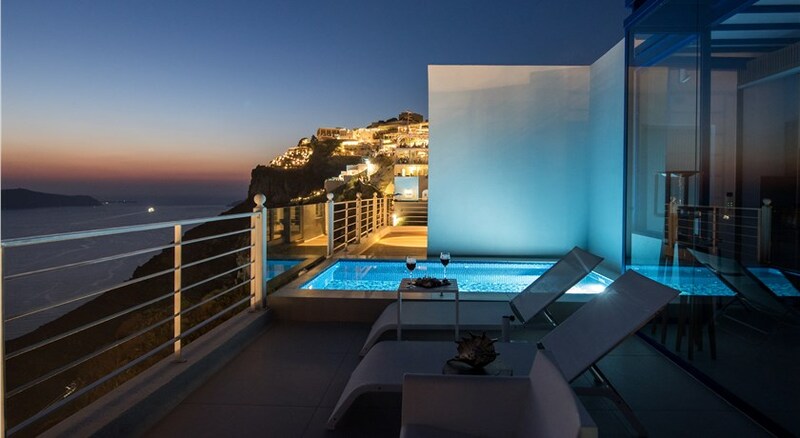 Here, on the east side of Fira, a slope full of colorful houses and churches in the six all-new suites of San Marino, a hidden secret to stay in Santorini is ready to be revealed and mainly to enjoy with your loved ones. Lovers of calm and refined aesthetics find the suites, garden and throughout the San Marino Suites their ultimate expression. 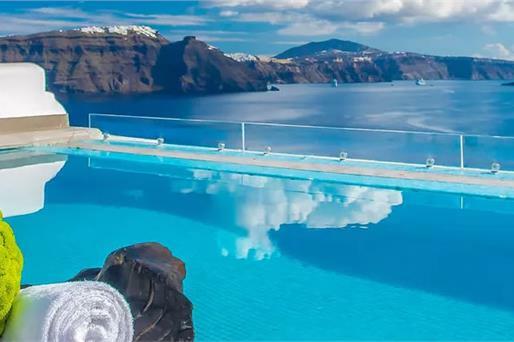 The suites are ideal for couples who want to live a romantic time, families who want a safe environment for their holiday in Santorini and celebrities from around the world who visit Santorini and want to stay in a unique suite ensures peace and privacy of their stay on the island. 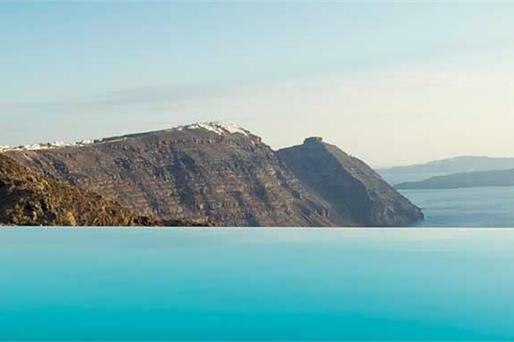 Offering an outdoor pool and views of the Aegean Sea, San Marino Suites is located in the scenic Fira in Santorini . A bar and a restaurant are available within the premises, while free WiFi is available throughout. Combining traditional Cycladic decoration with modern touches, each unit at San Marino Suites is air-conditioned and comes with a flat-screen TV with satellite channels. 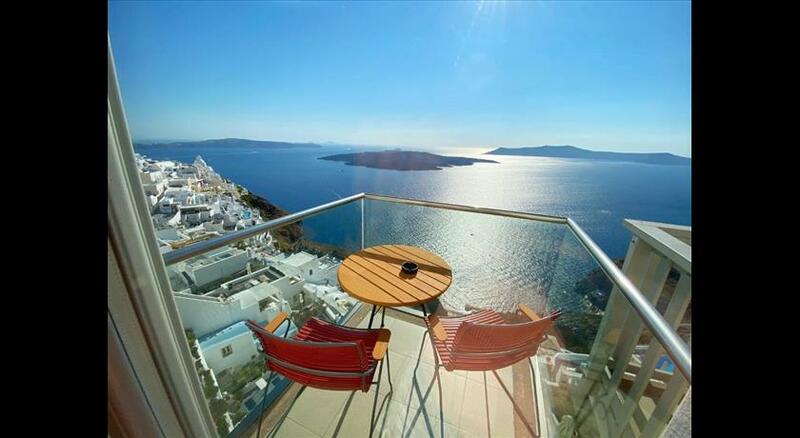 All suites open to a balcony with sea or garden views and also offer a seating area. Each bathroom is fitted with a shower, whilst free toiletries and hairdryer are offered. Some also include a spa bath. San Marino Suites also includes a sun terrace. Bike hire is available at the property and the area is popular for horse riding. Airport shuttle is provided. 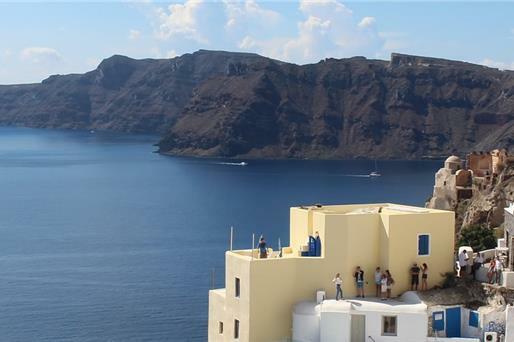 The cliffs of Imerovigli , from which guests of Santorini enjoy the famous sunset , is at 3 km. The scenic Red Beach is located within 10 km of San Marino Suites. 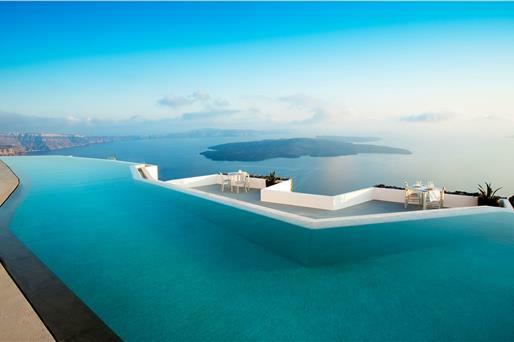 Santorini Airport is at approximately 5.5 km. Free private parking is possible on site. All children are welcome. All children under 2 years are charged EUR 30 per night for children's cots/cribs. All children under 16 years are charged EUR 40 per night for extra beds. All further older children or adults are charged EUR 40 per night for extra beds. The maximum number of extra beds in a room is 1. Please inform San Marino Suites in advance of your expected arrival time. You can use the Special Requests box when booking, or contact the property directly with the contact details provided in your confirmation. Kindly note that transfer from the port and airport is provided daily 24 hours per day upon request, reservation and with additional charges. It takes 20 minutes to get to San Marino Suites, but it might take longer during peak hours. Please note that Greek homemade breakfast is available upon request.